In many cases we can get our customers air conditioning repaired in the same day - we are proud of this and work hard to get to you same day when possible. We have low overhead costs, we do not spend our money on big advertising campaigns or TV and Billboards - all of that cost is passed on to you by the big names in the business. Get another quote, we often check the competitor's prices, we are lower overall and often times by a lot in our prices, this could pottentially result in huge savings for you. Our customers have repeatedly left us great reviews on Google, Yelp, and in person. Take a look and see for yourself, we appreciate our customers time and work hard for their great reviews! We take pride in our work and do not shortcut quality. We believe in excellent service and make it a point to do everything we can to give excellent service to our customers. Our customers regularly refer their friends and family. The majority of our new business comes by word of mouth referral and is often family and friends of our existing customers. That says a lot. We are proud of the fast and friendly service we provide to our customes. We stand behind what we say and do. 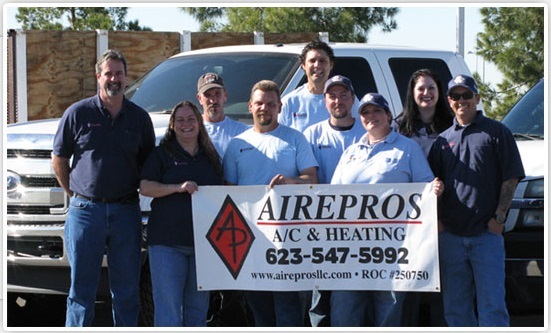 Our customers have relied on us to take caare of their HVAC Systems to keep their homes comfortable and businesses running for many years.